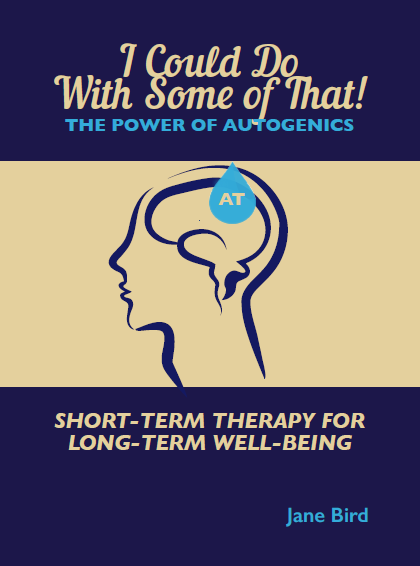 I am often asked how we know Autogenic Training (AT) works. Maybe we don’t know. There are some occasions where we simply cannot explain a change. The answer usually lies with the client. My favourite story is the ‘fingernails lady’. Iris, age 70, had started the AT course because of her irritating dry cough, and sweating a lot. When she came for a follow-up session 4 months later she said she no longer coughed in embarrassing places like church – it was now confined to when she did AT so it no longer spoiled her life. It had been a hot summer and the whole world was sweating so that didn’t matter any more. This story illustrates the best of the unknown. We do know that positive emotions affect our physical health. Molecular change seems to occur with both positive and negative emotions (a very good book by Candace Pert – Molecules of Emotion describes the science of this). I could tell, by the great beam of pride on Iris’s face, that she was actively changing for the better, her internal molecular structure. I am a great believer in joyful pride.